Becoming an egg donor is an amazing opportunity to help others to achieve their dreams of starting a family. Today, there are many egg donation centers across the country offering egg donation programs that will allow egg donors to successfully donate their eggs. Here is a list of the top 10 egg donation centers in USA. The San Diego Fertility Center with its band of expert physicians and nurse coordinators ensures that the valued egg donors receive the best care possible. High standards are maintained while screening egg donors at this center and the promises of confidentiality are always kept. A sound online database is also maintained to keep records of the egg donation process and details of the donor. At UCSF, a skilled interdisciplinary team handles the task of egg donation extremely efficiently. The egg donation program introduced by this center was one of the first of its kind in the Bay area. Besides board certified physicians, the center also has genetic counsellors, psychologists and well trained nurses to assist the donor at all stages of the egg donation process. The center promises to fairly compensate the egg donors and attend to all the needs of a donor with compassion and care throughout the egg donation process. Over 500 children have seen the light of the world with the help of the egg donation program of Surrogate Alternatives. The most unique factor about this unit is that even the staffs here have themselves participated either as egg donors or surrogate mothers. 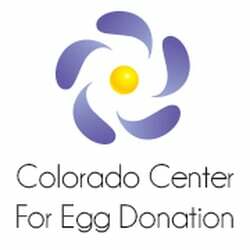 The Colorado Center For Egg Donation holds a comprehensive and detailed egg donation program which is one of the best in the country. The highly skilled staff of the unit handles the egg donor process with great efficiency and ensures the donors are treated with care and compassion in return of their generous act. Four partner clinics of the Center for Reproductive Medicine, screens and treats donors based on uniform guidelines such as screening for infectious diseases, genetic disorders and evaluation of mental health. After selecting the potential donors, the clinics then conduct the egg donation process. The eggs are stored the cryogenic storage facility at the center. The center welcomes egg donors of all ethnicities and takes every measure to ensure the egg donation experience is convenient and comfortable for the donors. The Washington Center for Reproductive Medicine also constantly recruit donors to create a large donor pool and also maintains complete anonymity during and after the eg donation process. With an expert medical team and specialized psychotherapists, Advanced Fertility is well equipped to successfully handle egg donor programs within the institute. The team of the clinic treats its egg donors for the best possible experience and the donors are also well compensated for their time and service. 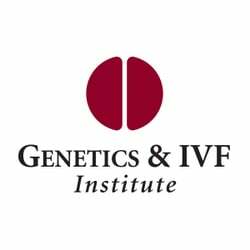 The Genetics and IVF Institute hosts a donor egg program which has been one of the most comprehensive and successful programs in the country since 1988. The institute now also has its own egg bank, the Fairfax Egg Bank. Thus the unit offers more flexibility to the egg recipients in being able to offer both frsh and frozen donor eggs. ConceiveAbilities always tries to ensure that the generosity of an egg donor is appreciated with warmth, support and kindness. The unit manages to hold a large and diverse egg donation database. Thorough screening is carried out here to select egg donors with the highest caliber. The CWRC has one of the most successful egg donor programs in the country and takes extensive care of its valued egg donors. Highest standards are maintained in donor screening and matching to recipients.